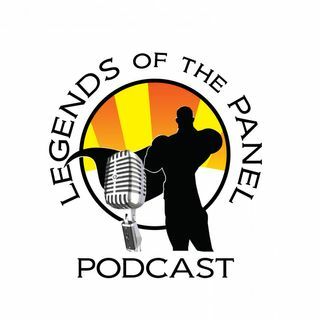 Welcome to Season 5 episode 3 of Legends of the Panel Podcast, Hosted by Mr. Chulak, KJ The Comic Guy and The Lady Archer. On this episode we are missing a Chulak as he prepares for an out of state wedding, so KJ and the Lady Archer are back at it again! After talking about the many movie trailers that were part of that major sporting event where New England and Los Angeles didn't decide to do anything until the last 15 minutes (Yup that's right KJ who writes these notes just blasted ... See More the NFL), there was no real consensus on movies that anyone really must see based on the trailers. Everyone knows that Captain Marvel is only a few weeks away, that followed pretty closely by Avengers Endgame. These are both highly anticipated comic book movies, and KJ is still excited about Captain Marvel. Unfortunately not so much for DC's Shazam! What does look good is DC Unlimited and their new Doom Patrol series. This is a resurgence of Brenden Frasier in a pivotal role as Steel. Veteran action star and fan favorite Timothy Dalton as Chief is a great separation for Dalton from recent more "Baddy" roles. Even Cyborg gets a pass in this serial adaptation of the DC Comic series. Thank you for downloading, subscribing, listening and supporting Legends of the Panel here on the Geek Culturecast network. We appreciate you taking the time to listen to each episode. For more information about the network go to www.geekculturecastnetwork.com, and look for Legends of the Panel on your podcast service for even more Mr. Chulak, KJ the Comic Guy and The Lady Archer, or for SciFi enthusiasts check out Warp My Tardis, another show here on the Geek Culturecast network.